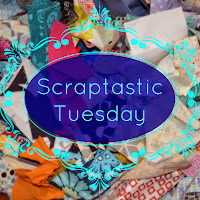 I am popping in here to remind you that next Tuesday is the second Tuesday of August and the Scraptastic Tuesday link will open. Please plan to share a scrappy project, in progress or completed, or your thoughts on taming the scrap mountain. I am hoping for an extra lot of you to link up and inspire me as I have not been sewing much in the last few weeks. Here is my new sewing room, I just took these photos for you. 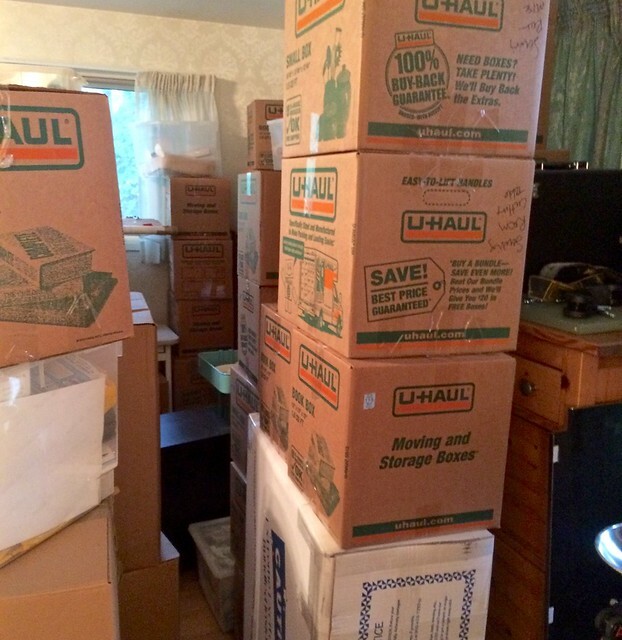 Yikes - I have been scared to look at how the movers left it, they were great with our stuff, nothing damaged or broken so far, but they were not so good in placing things well for the unpack so first a sort and organize of the boxes and such is required. But it is on my list to start tonight working on sorting this area and finding a way to start sewing in one corner while I unpack the rest. A lot of those boxes are fabric and since it is the one thing I organized before we moved, the fabric will unpack quickly into the shelves. I think some sewing at the end of each unpacking day will help with the overall grumpiness that unpacking in a serious heat wave is causing. Moving is something I am planning and paring down to make it easier. I don't have a lot of things which makes it easier. I think a little spot for some 'reward' sewing is a super idea. Just glad so far all is well. Yes, a little sewing every day is what we all do to cope. I am running my mom out to the doc this afternoon. She is 92 and I suspect a UTI. turn your fans on full blast! Yup - you are up to your nose in fabric and quilting supplies! You have a job ahead of you for sure, but it will be all nice meet and tidy ready for some serious quilting. Look forward to pics. I knew you were moving house--but not city too. I guess I missed something crucial about this move. Why are you moving? why the living in two cities? I hope your unpacking goes well and that you are able to sew again soon. I look forward to future posts. gosh this has got to be overwhelming. But I like your idea of creating a little sewing space to work in while you do the big unpack! Well, good luck with that Leanne! I hope you settle into your new home quickly and get sewing soon! You truly have an impressive amount of boxes! I hope the move will quickly dissipate into the background, and that it will allow you to rediscover old favorite fabrics that can be used in new ways. Your sewing room looks bigger than your old room--hoping that this is true. We quilters need all the space we can get! 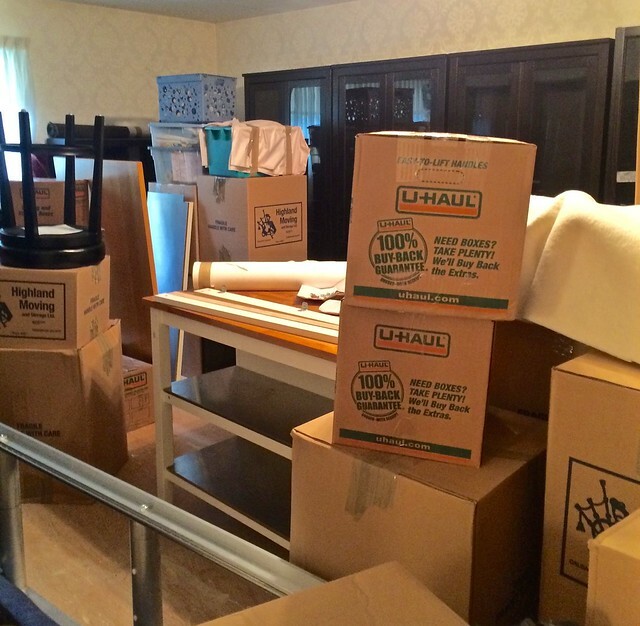 In my lifetime I've moved over 35 times, and it's always the same chaos at the beginning. But those boxes will unpack quickly and I know you'll be back in business in no time. Congrats on a new place! Go you can and sure you will sew soon! Any chance the elves have been and unpacked all those boxes for you? !